Protecting our most valuable asset – our people. SAFETY FIRST is the commitment from all of our employees, business partners, subcontractors and clients alike – to adhere to its principles. SAFETY FIRST is our individual and collective undertaking to: Only when we work together can we eliminate hazards and ensure safety. We all stand committed to safety first. Challenge yourself to be your best. “Excuses” are detrimental to the workplace and our personal development. By making, providing, accepting or giving excuses, we fail to act with virtue. NO EXCUSES is our policy calling on everyone to challenge themselves to perform at their best. Being your best means working with integrity when dealing with clients, sub-contractors, colleagues and service providers. 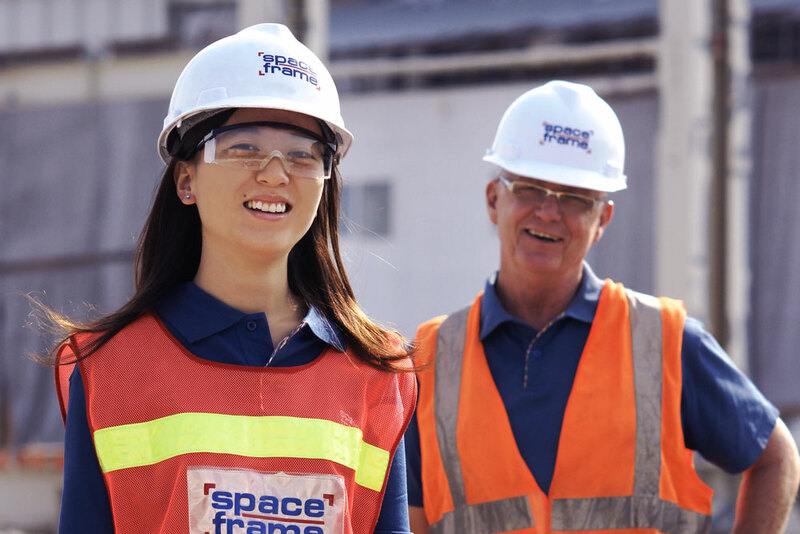 At Spaceframe, we promote a culture of excellence with open, honest communication and transparency in the workplace. By doing so, we encourage employees to take responsibility for their actions in a solution-driven way. When we take responsibility for our actions, there are NO EXCUSES.